Not only are there two sides to every story, there are also countless ways to tell each and every fireside chat and fisherman’s fable. Imagine this for a second; you’re out with friends – some of your “besties”, others mere acquaintances – doing a wine and canvas night, tasked with recreating Van Gogh’s “Starry Night.” Everyone’s painting will look different dependant on how many glasses of cheap red or sugary moscato have been tossed back, as well as by the emotional state of the one-night stand artist with brush in hand. But then take a step back to look at the gallery as a whole and, while all unique and inherently personal, you come to understand that each painting is the same story spun in a different light. 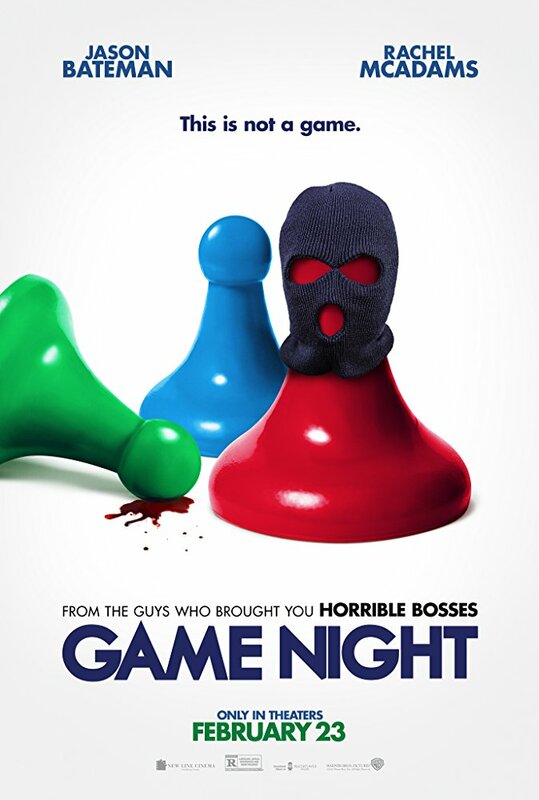 Game Night feels like the group’s friendly faux pas of a lush who’s no stranger to exaggeration, and this happily playful picture embraces its role as the frivolous, rollicking, surprisingly thoughtful yet rotten Easter egg of the bunch. 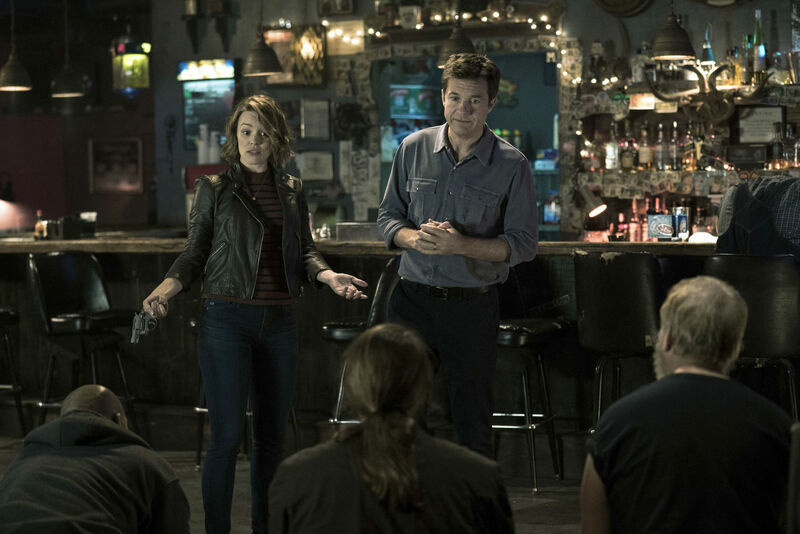 To start, Game Night instantly elevates itself by showcasing its smarts in one brilliant shot, literally resembling the game of “Life” as the camera slowly zooms in to become a tangible world. This is where constant competitors Max (Jason Bateman) and Annie (Rachel McAdams) meet, fall in love, make house. The future worst nightmares of every CYO referee across the country have no kids, at least yet. 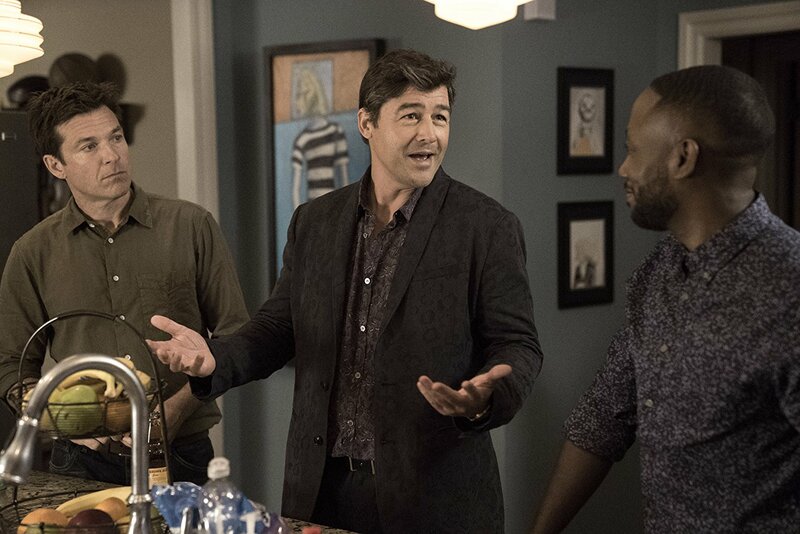 Max’s swimmers are slowed by the constant stress of his older brother Brooks (the ridiculously well cast Kyle Chandler), a taller, more handsome and succesful embodiment of wealth. Game Night doesn’t try to rationalize Brooks’ bellicose behavior; instead it tries to humanize his gift baskets full of degradation. Every time he interrupts and undercuts Max, we sense that it’s an attempt to reaffirm his own dignity, and that this sibling rivalry is representative of a primitive, symbiotic struggle between brothers whose forks in the road rarely meet over a good hearty meal. In any desperate relationship, the immediate answer always tends to gravitate towards one giant, grand gesture. The entire point of the story is for us to wonder whether or not it’s been completely thought out or if it’s been left to chance. Instead of boring us with table-talking tirades trying to cheat at Euchre or unfairly hustled games of pool, Game Night welcomes us on a safari throughout middle-class suburbia, touring an exclusive evening of parlor games. 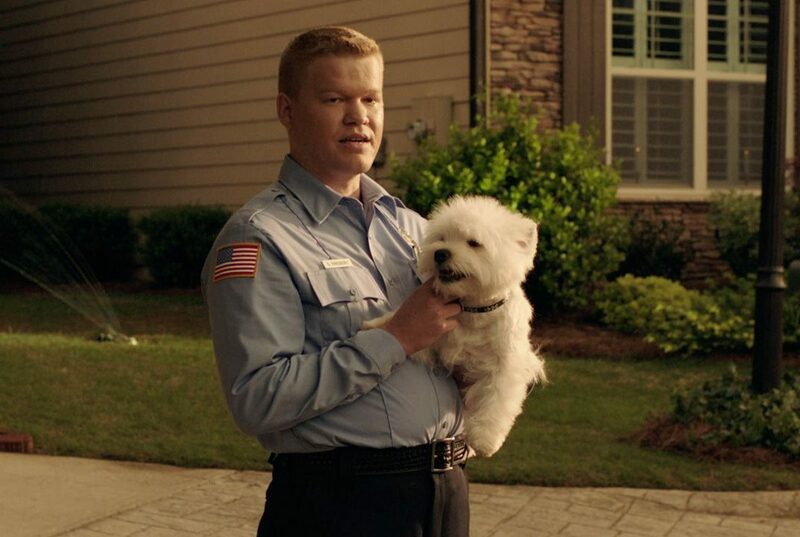 The consciously creepy and recently divorced cop next door named Gary (Jesse Plemons, a dry dam of a national treasure) isn’t invited, and he treats this unwitting rejection like one of the seedy “bad guys” in Joe Dante’s anxious and imaginative ’89 film The ‘Burbs. That leaves just 3 vastly different pairings: the hyper Max and Annie / the doltish Ryan (Billy Magnussen) and his first-ever intellectual counterpart in Sarah (Sharon Horgan) / junior high love birds Kevin (Lamorne Norris) and Michelle (Kylie Bunbury). Brooks, always the showman and ever the outsider, promises them a game night to remember. Kick back, play a drinking game, wait for reality to be rippled by a skipped stone. The only reason this ambitious film works half as well as it does is because it knows how to scramble in the pocket, hit the consistent crossing routes, and continually move the chains before booting the game winner from within Extra Point distance. 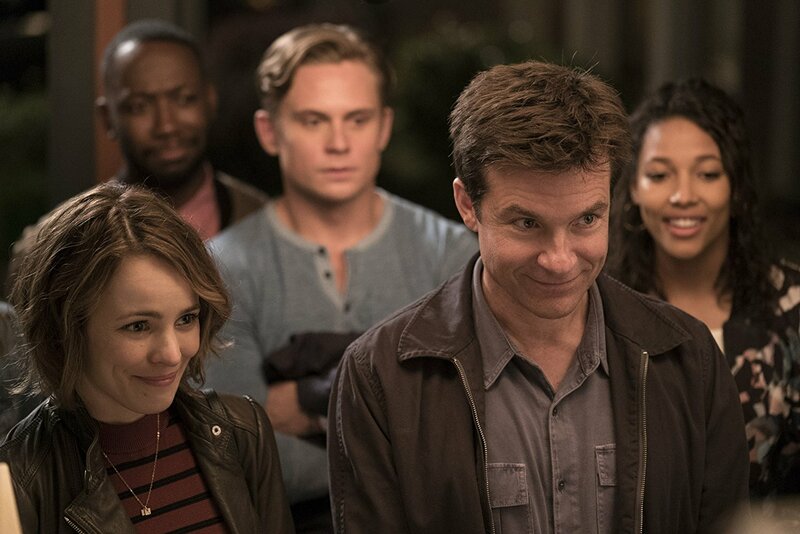 Game Night has big plays and huge laughs which shouldn’t undermine how methodical and well-manufactured it is as a whole. Game Night requires – and for the most part exudes – a back-alley level of nuanced and colorfully pedestrian showmanship. It’s enticing, engaging, and lulls your senses before quickly performing a sly card trick beneath your eager eyes. However, this movie isn’t content with simply duping its audience; the point behind its obvious sleight of hand is to further distract us from what’s about to occur. Like a great manipulator in any given field of work, Game Night makes sense in almost every single moment whilst still having the frame of mind to set up the next side-splitting gag. We’re in on the flurry of jokes, and because the script is so well-written, most viewers should be able to directly engage with the plot, effectively making the movie an augmented version of reality that we get to vicariously experience and to entertain as if it were our own livelihoods on the line. Some critics have penned comparisons to perfectionist David Fincher’s ’97 feature The Game that are both welcome and in need of restrain. While the writers certainly have Fincher in mind (one long-running gag references Fight Club and when our sextet fumble and lateral an expensive Fabergé egg to one another in a mansion through a deliriously fake one-shot, we feel as if we’re navigating a terrifying fun house), the real authorship comes from directors John Francis Daley & Jonathan Goldstein. In Fincher’s The Game – a cult classic which equally honors and fears imminent technology while promising a profound life experience – the plausibility of suspending and manipulating truth becomes a tired subtext worth mocking. The wickedly smart Game Night proves that it’s the kind of rare film – in the mixed tradition of Scorsese’s surrealistic After Hours, the blacked-out memory of The Night Before, and the Spielbergian adventure found throughout Adventures in Babysitting – that’s actually deserving of being called a smart and dark comedy. I’ve seen this kind of cheap participatory cinema before, but it’s been far too long since I’ve seen it done this well or quite as deserving of passing GO to collect its dues.